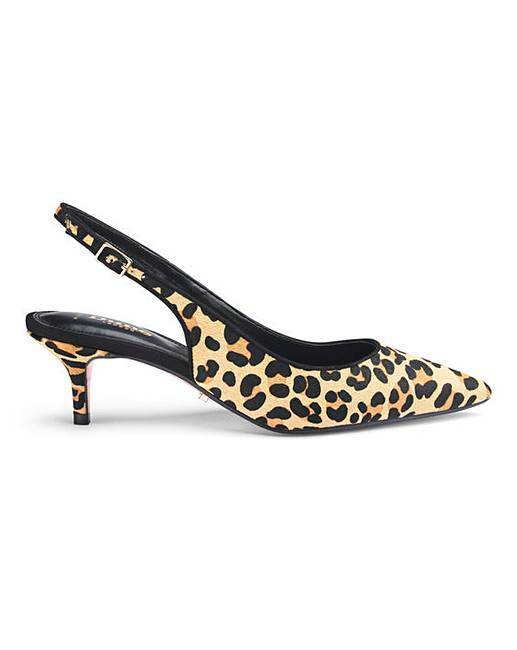 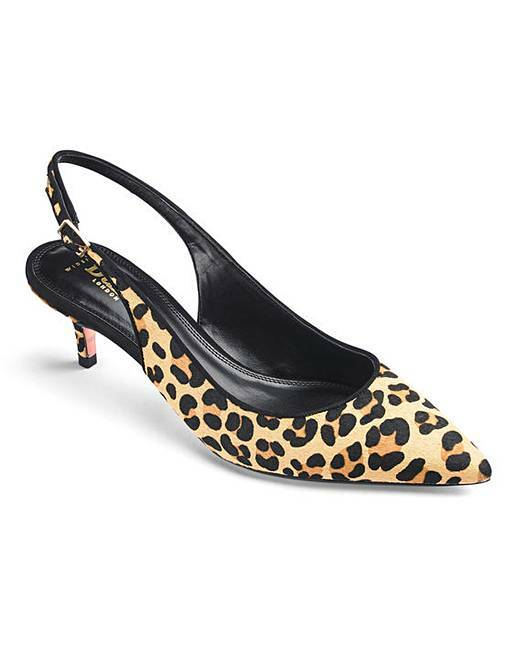 This elegant pointed toe Dune London Wide Fit kitten heel is perfect for day or night. 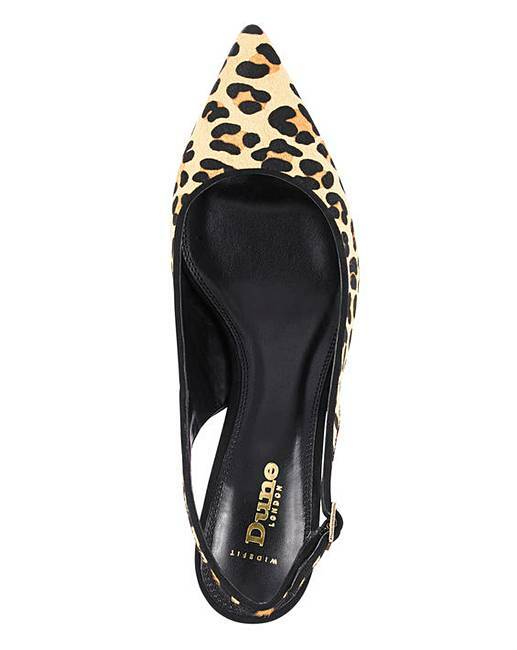 Featuring a mid height kitten heel for all day comfort. 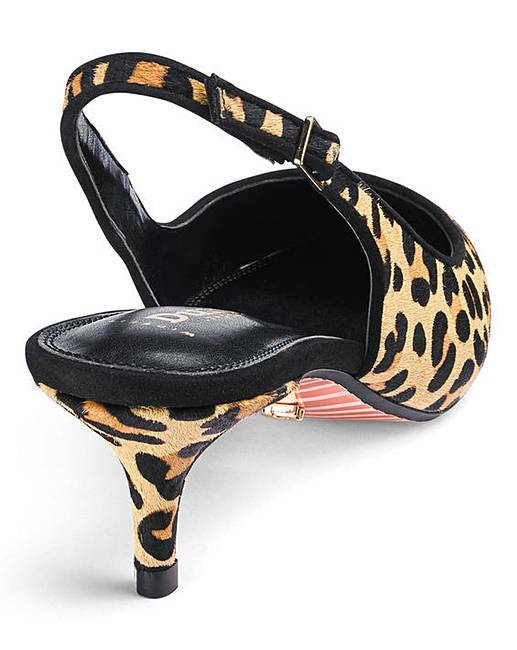 The design has a stunning Leopard pony finish.